Is Not As Safe As You Want. Most businesses have some kind of security system. In almost every business we perform our FREE Business Security Assessment we find many security holes that if left un-plugged could lead to a serious breach and a financial disaster. 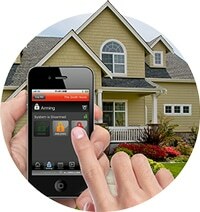 Most owners have set up whatever security system they have in place a few, or in many cases many years ago. Which is fine. You have something in place. Tech advances in business security make any business security system more than 2-3 years old likely to be somewhat obsolete! When is the last time you had a complete Business Security Assessment to have ALL aspects of your business’ protection reviewed, analyzed and assessed for efficiency, efficacy and maximum peace of mind? Probably not in a long time, or never…right? A FREE, NO OBLIGATION BUSINESS SECURITY ASSESSMENT! We’ll send one of our Business Security Specialists to your business at no cost, and with no obligation what-so-ever. They will ask you questions about your business, staff, outside vendors, and all other external and internal security risks. They’ll do a physical inspection of the premises, performing a thorough review of ALL potential threats and risks. They’ll go back to the office and prepare our unique and surprisingly informative Business Security Assessment. Finally, we’ll come back out to your business and review the entire report with you. Please remember – there is NO COST, and NO OBLIGATION for you to go through this assessment process! Business Automation: A.L.S. Security Solutions provides the much-needed extra eyes and hands to assist business owners and managers. When you automate your business to keep a closer eye on your office, you will save time and money. Call or click on the button to schedule our free Business Security Assessment consultation! There are new and old school threats to your business that may not be able to be dealt with properly if your security and protection systems are out of date. Don’t be sorry later if something goes wrong before you take us up on our offer of a free analysis of your specific situation! Business Security: System monitoring is performed by our U.L. rated monitoring center right here in Central Florida. You can watch your business 24/7, inside and out from your mobile device or computer, anywhere in the world! This means that you can stay in control of security and manage/monitor employees’ access from anywhere on any device. Security Cameras: Right from your cell phone, tablet or any computer you can see and be aware of everything and everyone coming to your property! A.L.S. Video Monitoring service offers a best-in-class, end-to-end video solution. Video Monitoring: Our commercial grade video monitoring is a state-of-the-art, super high tech professionally hosted service that BLOWS AWAY whatever type of video monitoring you’re likely using now! Energy Management: Our energy management and automation services help automatically decrease energy waste and improve liability control with lighting triggers and schedules. When we connect lights, locks and thermostats to the security system, it guarantees that your business is comfortable while open and remains safe when closed. Commercial Locksmith Services: This is not your typical home lock. Commercial hardware has to meet certain life safety codes, fire code and building codes or you could be liable. Business owners spend tens of thousands of dollars on equipment in order to provide their services quickly and professionally. We know life safety laws and fire code. Don’t risk losing everything you worked so hard to build. One successful burglary, one lock malfunction when it matters most, or one personal injury claim could ruin your business instantly! If you are ready for an affordable peace of mind assessment contact the experts at A.L.S. Security Solutions today to schedule a consultation. Business waits for no one and it could be gone in the blink of an eye if you don’t act now! Don’t procrastinate. Get our FREE, NO OBLIGATION VACATION PROPERTY MANAGEMENT ASSESSMENT. Call us NOW!